Beeeeeeet chips! Oh the bane of my severed finger’s existance (haha jokes its not that bad… ). 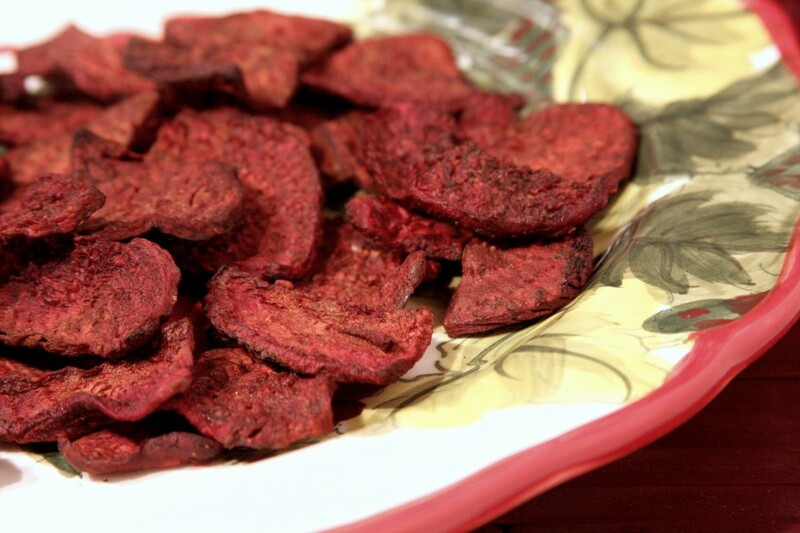 But seriously, if you are gonna try one beet recipe, this is the way to go. Ok so, I first found this recipe on Naturally Ella, she’s got a beautiful little blog you must check out. Her photos are mouth watering. Here’s the recipe, its basically just like the Sweet Potato Chips version. The only thing is, be careful with these puppies- they burn easily. Especially if they are cut at different thicknesses. Note: If you don’t like the idea of baking them, or want to reduce/eliminate the oil , you can set your oven at its lowest temperature and leave these to dehydrate for a few hours (my guess is at least 3-4). Peel the beets. Slice them as thinly as possible, or put them through a food processor, or (grimace) use a mandoline. (but don’t say I didn’t warn you about the finger maiming potential). Toss the beets with the olive oil. Lay them on a cookie sheet, don’t let any of them overlap. Sprinkle with salt. Fit a second cookie sheet overtop so they interlock and fit together- this will keep their shape and help them cook thoroughly. Cook at 325 degrees. Turn them at the 10 minute mark. At the 20 minute mark, take off the top cookie sheet and let them bake openly for another 10 min or so. 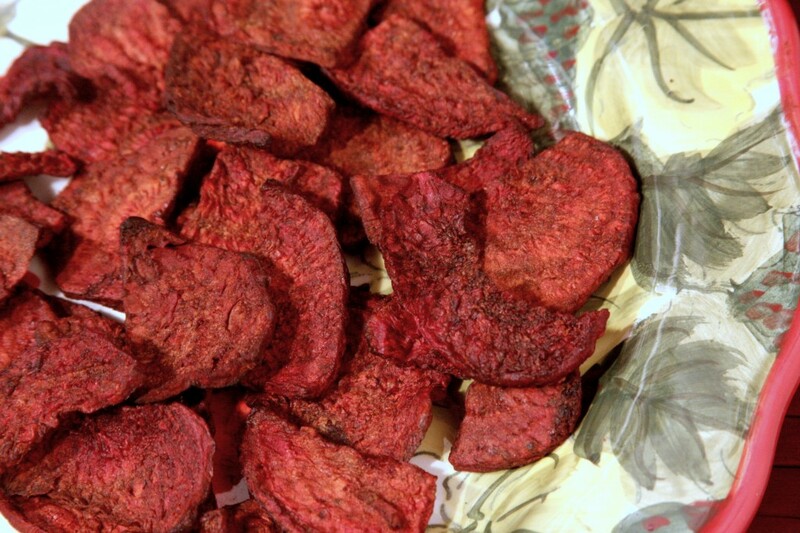 (Raw Food and Paleo: Use a dehydrator over night instead of the stove).